Cao W, Cui S, Yang L, Wu C, Liu J, Yang F, Liu Y, Bin J, Hou FF. 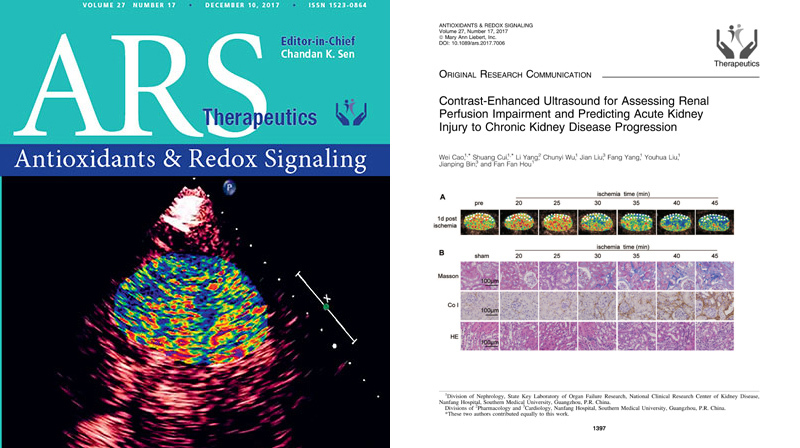 Contrast-Enhanced Ultrasound for Assessing Renal Perfusion Impairment and Predicting Acute Kidney Injury to Chronic Kidney Disease Progression. Antioxid Redox Signal. 2017 Dec 10;27(17):1397-1411. doi: 10.1089/ars.2017.7006. Epub 2017 Aug 22.